Mane and Tail: Black, but the mane is streaked with silver, and the tail begins in black but is mainly white. Iskender, much like his father, can be a good-natured guy. He can be sweet and romantic. He looked up to his father and loved him, but has nothing really to say about his mother. Growing up in the Marredland, a continent of mainly Darks, had its costs and benefits. While Iskender is no Dark, he isn't exactly Neutral either. His personality can differ. He grew up on a continent of Darks and sometimes acts like one, though he doesn't really believe in their ways. He believes in what can protect him and his herd or those he cares about. If it means that he has to be nasty and manipulative or cruel and violent, then he'll do it. While he looked up to Zerik, he saw how the rose grey's herd numbers were unsteady; the mares just came and went. Iskender won't let that happen with his own herd. He does want to be a herd stallion, and, as much as he'd like to find love, that isn't his top priority. He will be a dependable stallion who doesn't just come in and be around when breeding season begins. Iskender will be there and be dependable all the time. He would do anything to protect the herd he grows, even rip another stallion to shreds. Zerik didn't have a cruel bone in his body....but Iskender is not his father. Iskender is by far the youngest of his sire's children and the only known living son. Zerik had been wandering the wilds of the Hinterland when he met Alanis. It had been in the late stages of Spring, after wandering together for some time, that they conceived a child. 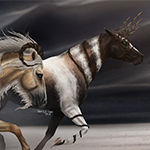 They stuck together for another few weeks, but then Zerik returned home to Ashen, his mares, and his responsibilities. 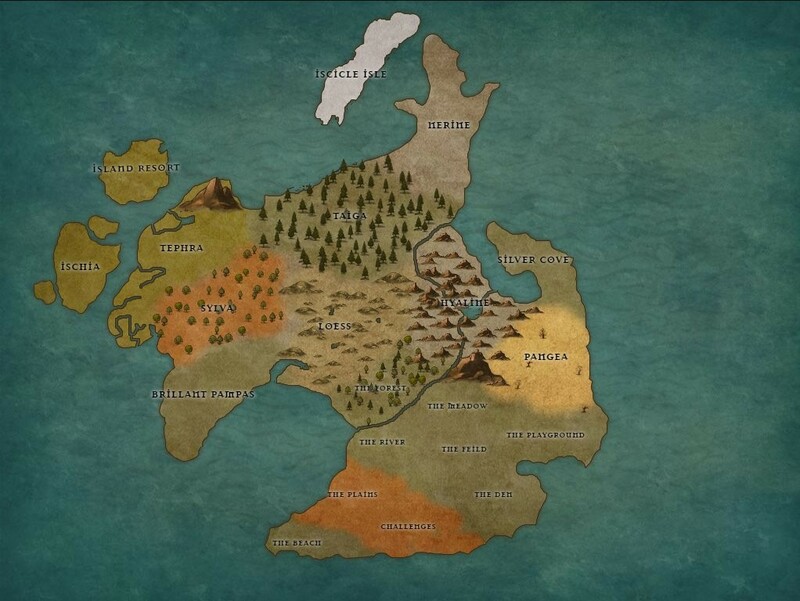 After Iskender was born, instead of returning to the Hinterland, Alanis raised him in the more known lands. He did not meet Zerik until he was a few weeks-old. His father was more than surprised to find the pair on the edges of Ashen, but he was more than happy to have another child. Alanis never wanted to settle down in the land; so they lingered. For a year and a half it went on like this. Never really getting around to meeting Zerik's herd mares or other children, as they slowly scattered. Iskender did watch them and their interactions, becoming familiar with faces and names. Then, when he was a year and a half-old, Zerik died. It was a terrible loss. After that, he and Alanis wandered for some time. When the young male turned three, they parted ways. Who knew where she went after that. Another year passed with Iskender wandering and learning the ways of the world. He hadn't been ready to settle down just yet. When his fifth birthday has came, Iskender decided that joining the known faces of Kormada and finding a home for himself was the best course of action. He joined up with a few of his sisters and cousins and attempted to reclaim Ashen for his family. This came to pass, but shortly afterward Iskender disappeared. And it seems he has reappeared in Beqanna, much to his surprise. Email: Send Iskender an email.